It was clean and a good price. Served its purpose for a place to sleep. Room was good size, too big even for a single person. It was very modern and not worn down at all. I loved everything about the property including the view of the soccer arena. I proudly brought some friends up to see my new digs. It’s not far from the central. Clean apartment and you have everything u need . Chek in and out very easy . The best are extremely comfortable. It is also a very safe feeling place to stay. The rooms are amazing. Stayed here a few times and will definitely be staying there again! Comfortable and easy to access. Rooms are nice and clean. Everything! Easy to book. Mail received with the codes to the doors worked perfectly. The apartment was very clean and had all that was needed (towels, sheets, kitchen items). Location ideal for watching a football match as in the same building as the stadium. Short drive to town center. 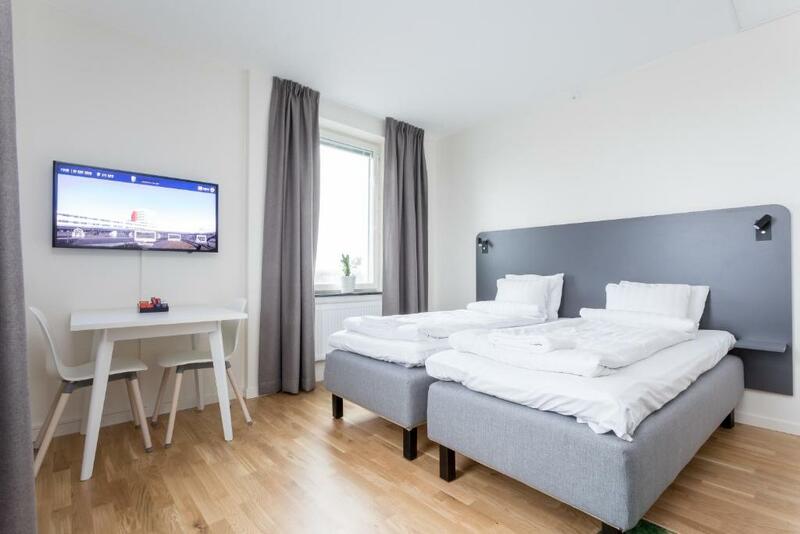 Lock in a great price for ApartDirect Linköping Arena – rated 8.4 by recent guests! 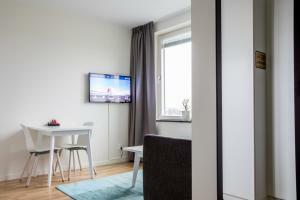 Set in Linköping, an 11-minute walk from Saab Arena, ApartDirect Linköping Arena features accommodations with free WiFi. All units are equipped with a flat-screen TV with Chromecast and a fully equipped kitchen with a microwave. A fridge and kettle are also offered. 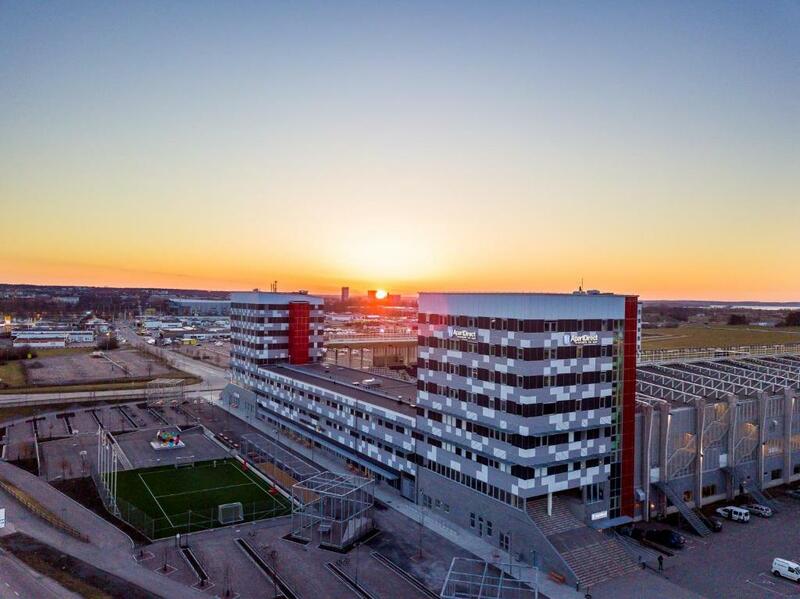 Linköping University Hospital is 1.5 mi from ApartDirect Linköping Arena. Linköping City Airport is 0.6 mi away. 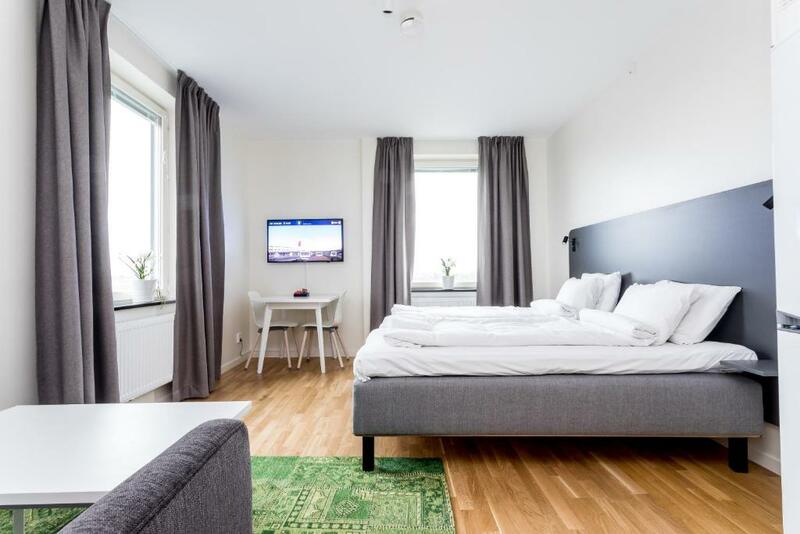 When would you like to stay at ApartDirect Linköping Arena? This studio has a stovetop, sofa and kitchen. 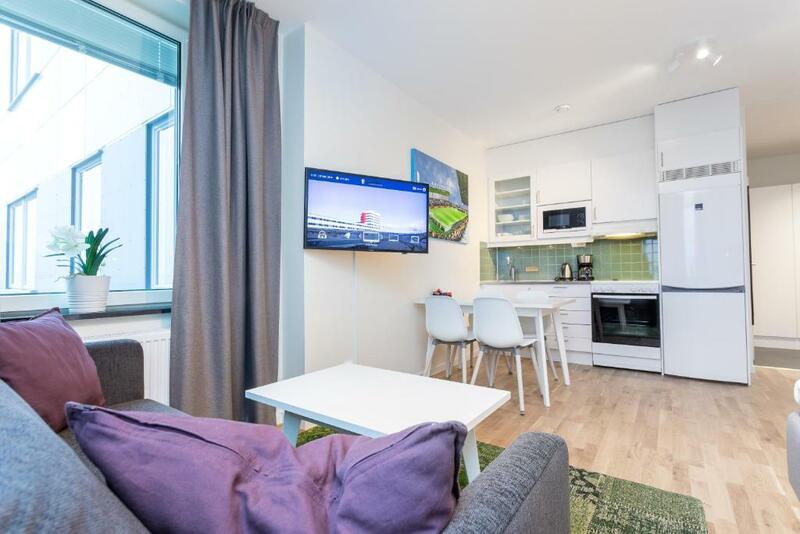 This studio has a flat-screen TV, kitchen and sofa. 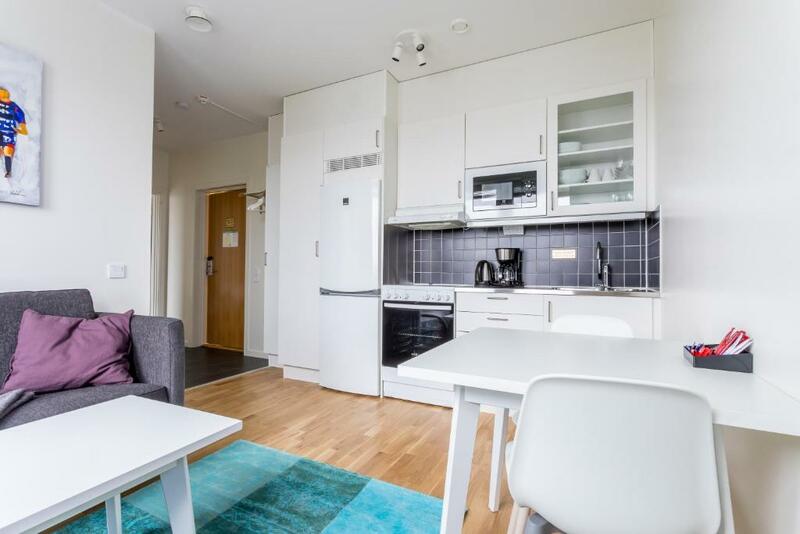 This studio features a electric kettle, tumble dryer and microwave. House Rules ApartDirect Linköping Arena takes special requests – add in the next step! ApartDirect Linköping Arena accepts these cards and reserves the right to temporarily hold an amount prior to arrival. Note that 3 days before arrival, you will receive an email from ApartDirect Linköping Arena with check-in instructions. A reminder via SMS will be sent 1 day before arrival. If you book close to your arrival day, you will receive payment instructions from ApartDirect Linköping Arena by email. Please note that only final cleaning is included. Additional cleaning during your stay must be booked in advance. 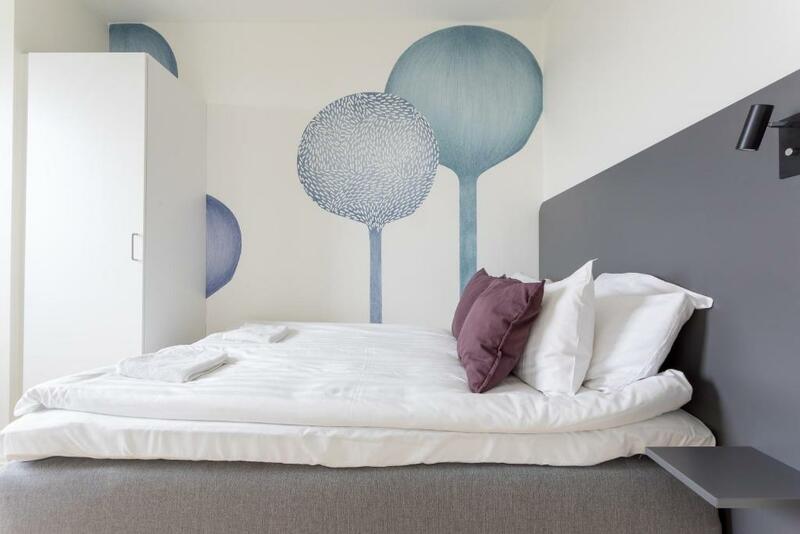 If your reservation is for longer than a week, cleaning and change of bed linen takes place once a week. After booking, the property may request a photocopy of the guest’s passport prior to check-in to secure the reservation. The property cannot accept cash as a method of payment. Please inform ApartDirect Linköping Arena of your expected arrival time in advance. You can use the Special Requests box when booking, or contact the property directly using the contact details in your confirmation. No shops or supermarket near by . Cancellation policy was not matching a modern standard. Would suggest to have some bikes for loan outside in case a guest does not have a car. Makes it easier to shop for groceries. We went for a motocross competition and this was close to the motorstation. Parking was important for us and this place offered it. Check in and out was easy with the codes so we didn't have to worry about our arrival time. No catering or other facilities in the building or nearby. Clean and spacious. Automated check-in and check-out is very quick and convenient. The location is awkward for a city trip as the hotel is located in the Stadium, outside of city area but close to the highway. You need a car to get arround. We reserved for two adults and two children, but when we arrived only the bed was made up and there were no sheets for the sofa bed. Also, although there was supposedly a strict "quiet time" after 10 pm, there were some very noisy people well past that time. It was very warm. In principal the windows have all facilities to dampen the heat but since the shades where not let down it was rather hot inside. As we arrived the sun was not at that side anymore, so we could cool down the room by opening the windows. But perhaps this is a tip for the personnel. There is noise from the roads, even at night. However, we have earplugs. This apartment hotel has everything one needs on just enough room (25 square meters). The booking process is great and simple. The TV even had a casting possibility which we used and enjoyed. 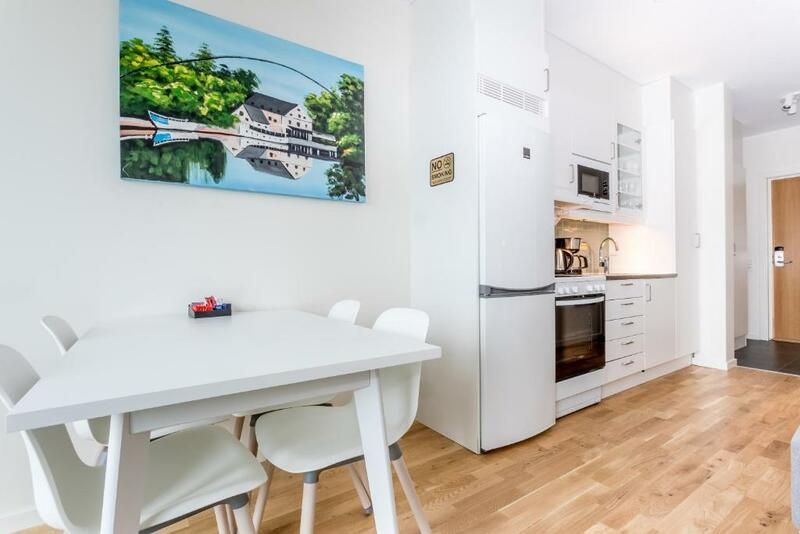 The small kitchen has sufficient cutlery and even a microwave oven. The bed is good. We would gladly use this place again. The walk to the town center is not too far. The town is very nice. We had a good dinner.